Below is a great example of a good lead nurture email (IMHO). Clean, easy to read with a clear call to action. And yes, I downloaded the report. It worked on me. PS Always remember to test. Some new free business tools for Instagram on the way, including business profiles and better analytics. Looking good. One of my colleagues noticed a familiar face on her LinkedIn “who’s viewed your profile” notifications. What she discovered was my profile pic being used by somebody else. Alerting me this I was shocked and also somewhat interested as to the reason someone would want to use my likeness. I’ve checked and I’m happy to report that my name is still Chris Yeoh and I still live in Sydney. 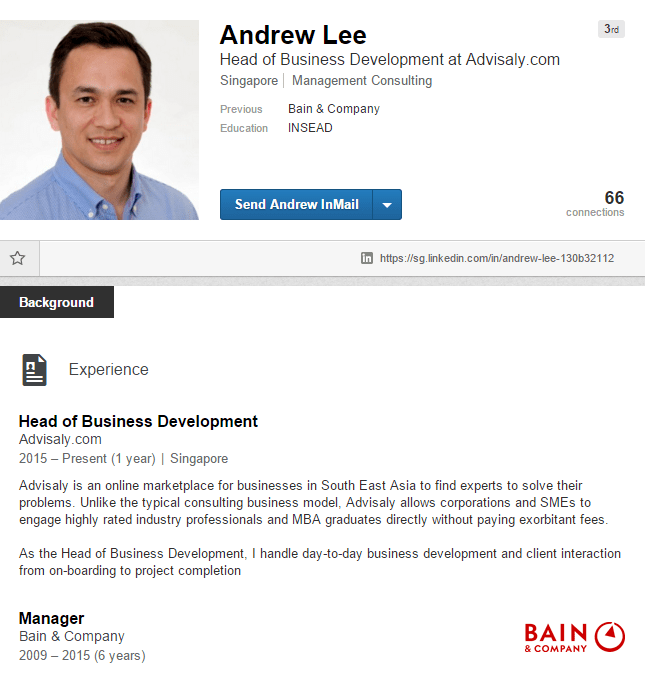 Who are you Andrew Lee from Singapore? And what are you up to? My 4 year old wouldn’t do anything I asked so I decided to test out some gamification tactics to see if she would respond better. Researching this I found these great examples but I decided to start simple. 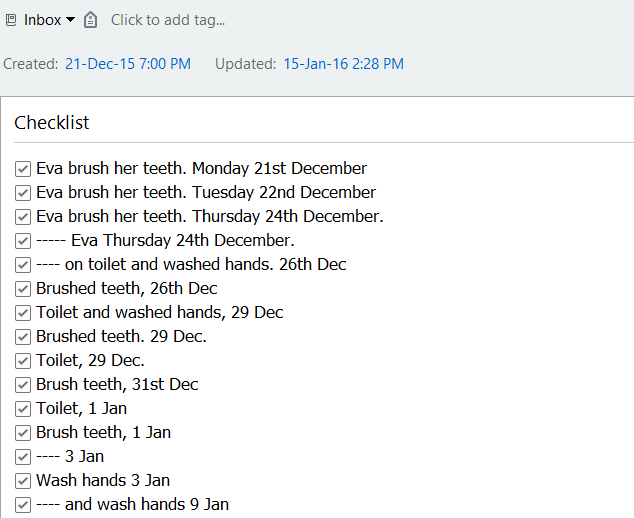 Using Evernote I created simple tasks with checkboxes next to them. I first noticed my daughter’s interest in checking off these boxes while we were doing the grocery shopping one day. She would ask for the item and I would show her which checkbox to check off. I realised her reading was improving through doing this. Now whenever I am struggling to direct her to complete a task I grab my phone and put it into a note so she can feel the sense of accomplishment of checking it off. After she washes her hands first of course. PwC Startegy&’s recent Chief Digital Officer Study highlights the growth in requirements of organisations to appoint a leader of digital transformation. 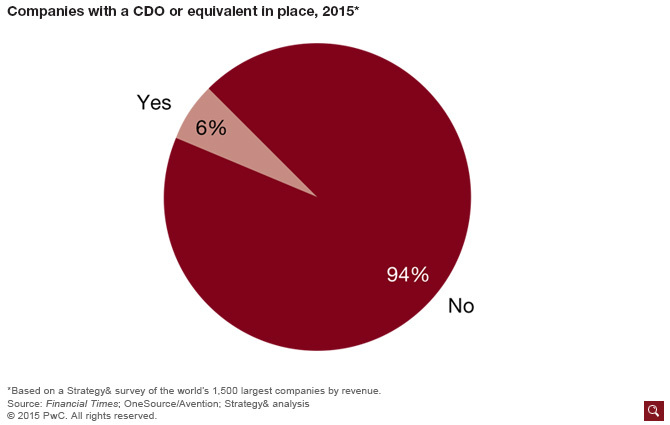 6% of 1,500 of the world’s largest companies studied by Strategy& have already hired a Chief Digital Officer. A large proportion of these CDOs come from a marketing and sales background with a strong focus on technology. CDOs in these organisations can have accountability across multiple business units including operations, customer relationship and product. Having the capacity to take a cross functional approach is crucial to success as digital is all touching.